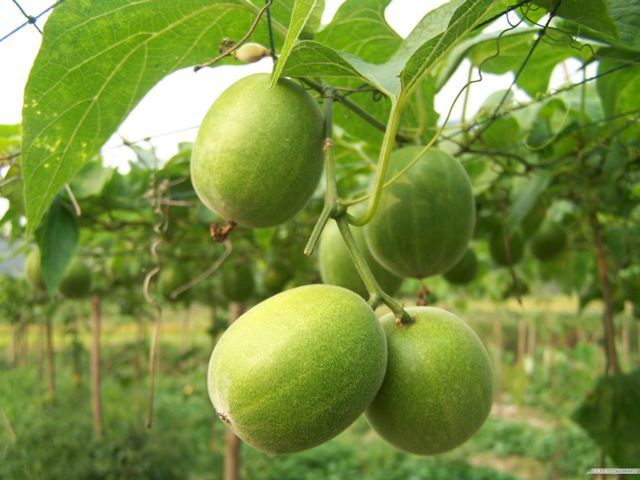 Luohan guo is a fruit from Southern China. It has a very unique quality. It is 300 times sweeter than sugar. It is also called longevity fruit there. It is widely cultivated in China in Guangxi province. Luohan guo is under cultivation there since centuries. Another unusual thing about this plant is that it is rarely found wild. An evergreen perennial climber, 3-5 m long, grows on other trees by means of tendrils. Leaves narrow, cordate, 10-20 cm long. Fruit globose, 5-7 cm wide, pulp sweet, edible. The fruits are very sweet because of the presence of mogrosides, a group of Triterpene Glycosides contained in them. The pulp contains about 1% mogrosides which makes it 300 times sweeter than sugar. The fruits are dried and then used as a sweetening agent. According to Chinese medical system scriptures, the fruits have a highly beneficial effect on human health and increase the age of man. That is why this fruit is also called a “longevity fruit” in that area. 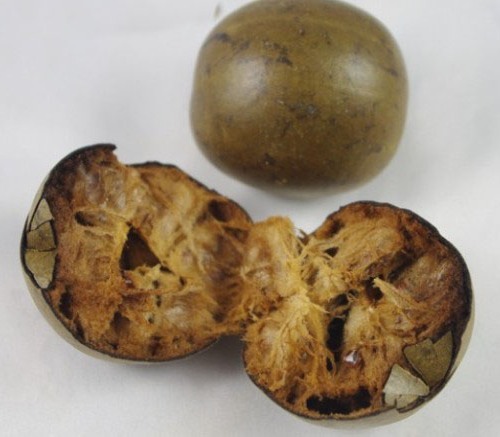 In addition to being a general health tonic, this fruit is also used to cure respiratory ailments and sore throats. A number of commercial products are prepared from luohan guo fruts. The most common of these is powdered instant luohan guo. It is also sold mixed with some other herbs. 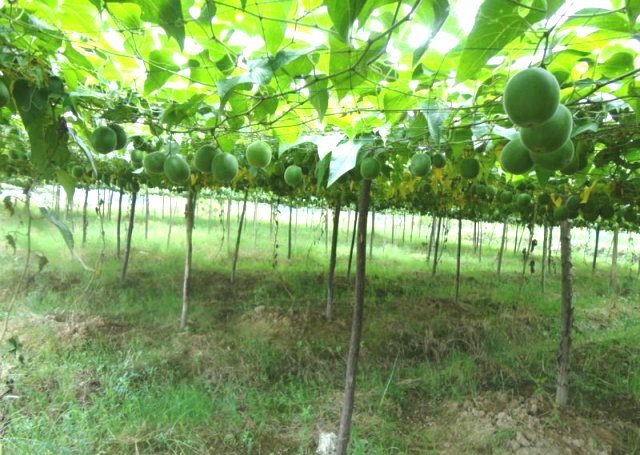 Luohan guo vines are like the vines of common cucurbitaceous vegetables. These are trained to grow on trellis. New plants are raised from seed. No exclusive cultivation technique is required for growing this fruit and the common agricultural methods followed to grow other vines are applicable. This is a quite hardy vine. The fruits are harvested after they have attained their full size. These are green at that time. The fruits are rarely used fresh and are dried and the sold in the market. The fruits turn brown after drying. Only dried fruits are available in the herbal shops in China.